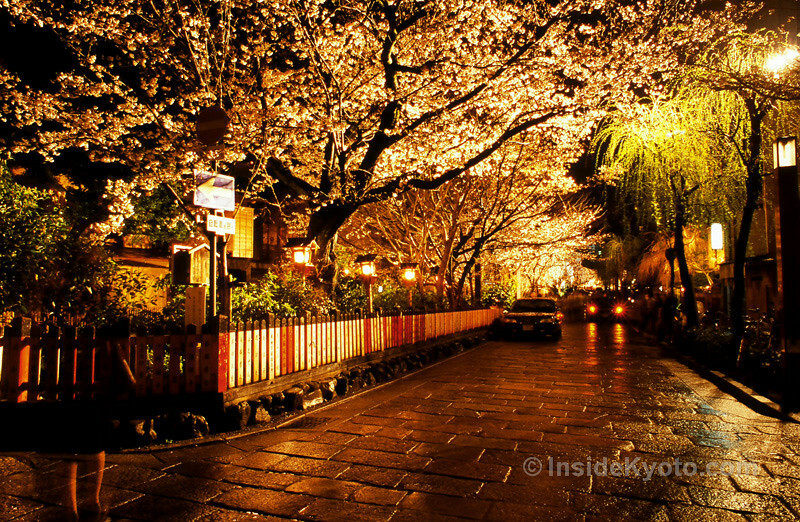 Discover the world of the geisha in this atmospheric evening walk in Gion, the “Floating World” of Kyoto. This private Kyoto walking tour is great for those who want to explore the world of the geisha, Kyoto’s famed Gion entertainment district (the so-called “Floating World”). For those who want to immerse themselves in Japan’s traditional entertainment district (the “Floating World”), this is the way to do it without spending a fortune. 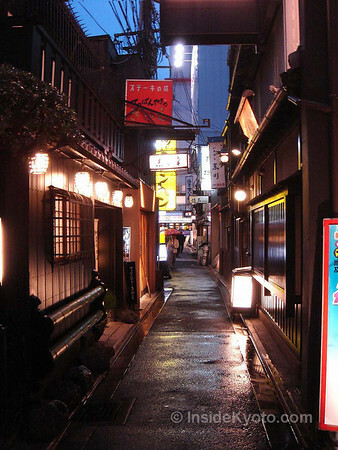 Your guide will take you through the most scenic streets of two different geisha districts and explain the world of the geisha to you. 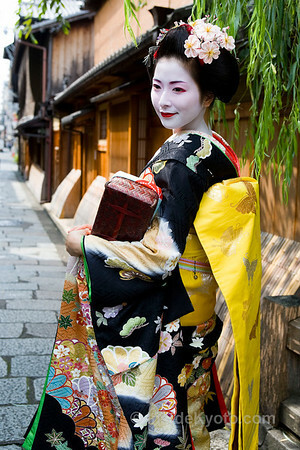 Along the way, if you’re lucky, you might spot a geisha on the way to an appointment. Don't forget this is a private walking tour, just for you and your friends and family. There will be no-one else on the tour with you, so you have the guide to yourself. We have some of Kyoto's best English-speaking guides, helping you maximise your time and enjoyment of the city and also get a deeper understanding of the history and significance of each place you visit. The tour price is for the whole group, not per person! Ideal starting time: 5.30pm (tour not offered on Sunday evening or from Dec 29 to Jan 3). You don’t need a guide to enjoy Kyoto, but having a guide will add a lot of depth to your understanding of the city. A guide will also free you from having to think about the logistics of getting around and making the most efficient use of your time. A guide can also help you enjoy local restaurants without any communication difficulties. Hiring a guide for a tour on your first day will give you the confidence to explore on following days on your own and a guide can give you some advice about what to see later in your trip. My company Chris Rowthorn Tours provides these tours. 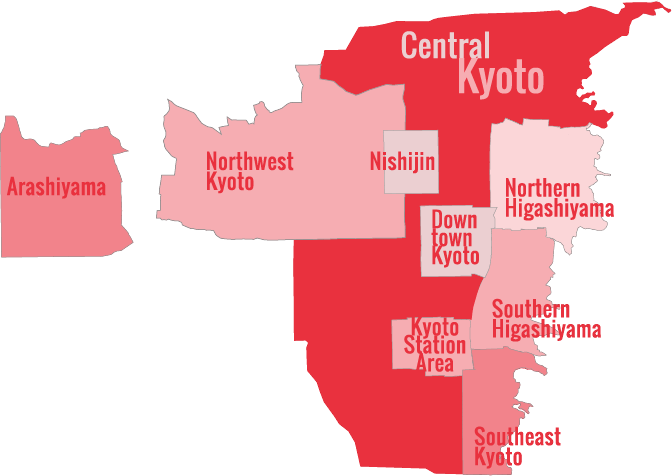 We have been running licensed tours in Kyoto for 10 years. I have spent years finding and training the best guides in all of Kyoto. Licensed, professional bilingual guides who love Kyoto as much as I do. But, don’t take my word for it, have a look at reviews of Chris Rowthorn Tours on TripAdvisor. No! This is the PER GROUP price, i.e., it’s the price for a private group of 1 to 6 people. For example, if there is one person booking a four-hour walking tour, the price is Y30,000 total. If there are six of you, the price is still Y30,000 (making it much cheaper per person). The tour group is private. That means there is only you and your family or you and your friends on the tour and no one else. Please note that we do NOT put different individuals or groups together, even upon request. 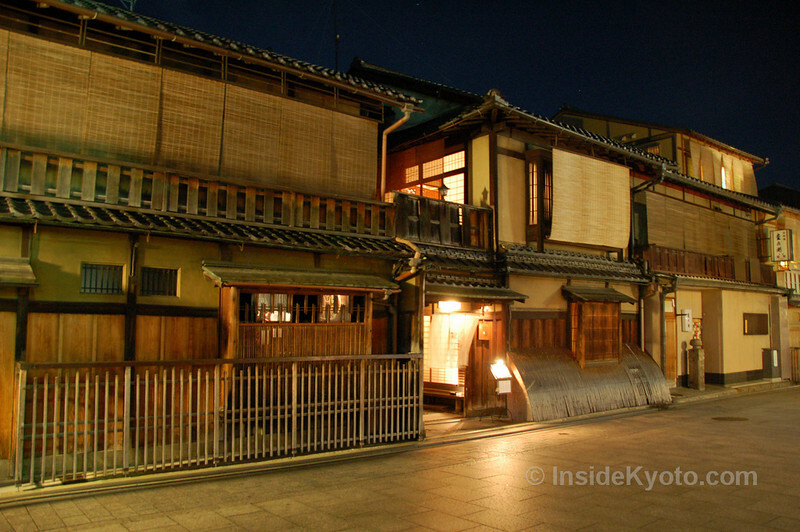 How Do I Pay For My Private Kyoto Walking Tour?